We position ourselves as an internationally renowned knowledge broker with knowledge in the field of risk and insurance management. After his doctoral degree in 1997 he joined ERC Frankona Reinsurance in Munich where he worked as a Senior Analyst until 1999. 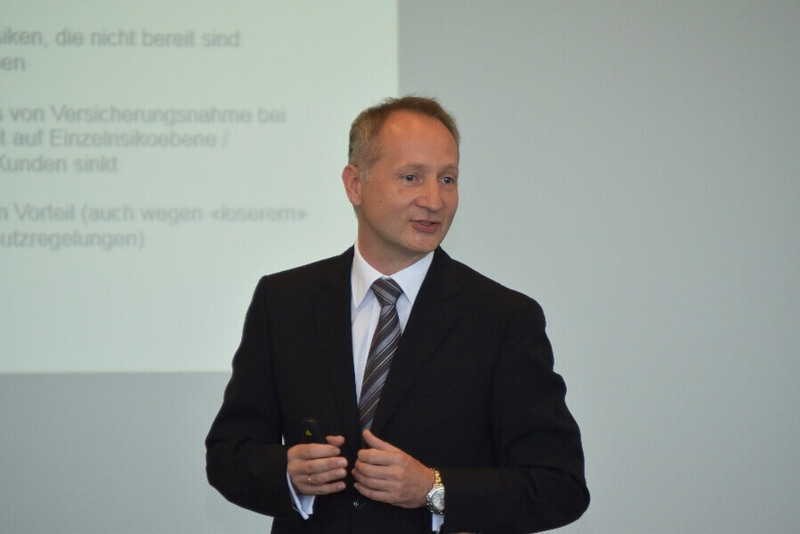 Hato Schmeiser finished his postdoctoral lecture qualification (Habilitation) at the Humboldt-Universität zu Berlin in 2003 and was subsequently appointed Professor at the University of Münster (Chair for Insurance Management). Since 2005 he holds the Chair for Risk Management and Insurance and is Managing Director of the Institute of Insurance Economics at the University of St.Gallen. His research has been awarded by the American Risk and Insurance Association ARIA (2005 and 2008), the Casualty Actuarial Society CAS (2009), the Emerald Literati Network (2013), and the Journal of Insurance Issues JII/CSIR (2014). Yes or No: Do Customers Like Interest Rate Guarantees? Working Paper on Risk Management and Insurance (2018), 25 S. (mit D. Luca und F. Schreiber). The Merits of Pooling Claims: Mutual vs. Stock Insurer, Working Paper on Risk Management and Insurance (2018), 22 S. (mit C. Orozco-Garcia). The Combined Risk of Illiquidity and Lapse in Life Insurance, Working Paper on Risk Management and Insurance (2018), 31 S. (mit H. Chang). Optimal Risk Pools under Changing Volatility and Heterogeneous Risk Classes, Working Paper on Risk Management and Insurance (2018), 23 S. (mit F. Klein). Sometimes More, Sometimes Less: Prudence and the Diversification of Risky Insurance Coverage, Working Paper on Risk Management and Insurance (2017), 23 S. (mit L. Reichel und F. Schreiber). Should I Stay or Should I go? Option Valuation under Optimal Stopping Strategy in Life Insurance Contracts, Working Paper on Risk Management and Insurance (2017), 28 S. (mit H. Chang). Heterogeneous Premiums for Homogeneous Risks? Asset Liability Management under Default Probability and Price-Demand Functions, Working Paper on Risk Management and Insurance (2017), 32 S. (mit F. Klein). Can Decision Theory Explain the Demand for Cliquet-Style Options in Life Insurance Contracts? Working Paper on Risk Management and Insurance (2017), 30 S. (mit A. Braun und M. Fischer). How to Derive Optimal Guarantee Levels in Participating Life Insurance, Working Paper on Risk Management and Insurance (2015), 32 S. (mit A. Braun und M. Fischer). The Liability Regime of Insurance Pools and Its Impact on Pricing, Working Paper on Risk Management and Insurance (2015), 31 S. (mit L. Reichel). A Performance Analysis of Riester Pension Schemes, Working Paper on Risk Management and Insurance (2013), 25 S. (mit N. Mahlow und J. Wagner). The Liability Regime of Insurance Pools and Its Impact on Pricing, Working Paper on Risk Management and Insurance (2018), 31 S., erscheint in: North American Actuarial Journal (mit L. Reichel). Consumption-Based Asset Pricing in Insurance Markets: Yet Another Puzzle?, Working Paper on Risk Management and Insurance (2017), 31 S., erscheint in: The Journal of Risk and Insurance (mit A. Braun und D. Luca). Return on Risk-Adjusted Capital under Solvency II: Implications for the Asset Management of Insurance Companies, Working Paper on Risk Management and Insurance (2017), 27 S., erscheint in: Geneva Papers on Risk and Insurance (mit A. Braun und F. Schreiber). Participating Life Insurance Portfolios: Is Fair Pricing Possible?, Working Paper on Risk Management and Insurance (2016), 32 S., erscheint in: The Journal of Risk and Insurance (mit C. Orozco-Garcia). The Impact of Time Discretization on Solvency Measurement, The Journal of Risk Finance, Vol. 18 (2017), No. 1, pp. 2-20 (mit D. Luca). What Transaction Costs are Acceptable in Life Insurance Products from the Policy­holders‘ Viewpoint?, The Journal of Risk Finance, Vol. 18 (2017), No. 3, pp. 277-294 (mit J. Wagner). On Consumer Preferences and the Willingness to Pay for Term Life Insurance, European Journal of Operational Research, Vol. 253 (2016), No. 3, pp. 761-776 (mit A. Braun und F. Schreiber). Insurance Claims Fraud: Optimal Auditing Strategies in Insurance Companies, Working Paper on Risk Management and Insurance (2014), 35 S., erscheint in: Variance (mit K. Müller und J. Wagner). Empiricial Findings on Motor Insurance Pricing in Germany, Austria, and Switzerland, Geneva Papers on Risk and Insurance, Vol. 41 (2016), No. 3, pp. 398-431 (mit D. Laas und J. Wagner). The Impact of Auditing Strategies on Insurers’ Profitability, The Journal of Risk Finance, Vol 17 (2016), No. 1, pp. 46-79 (mit K. Müller und J. Wagner). How Sensitive is the Pricing of Look-Back and Interest Rate Guarantees when Changing the Modelling Assumptions?, Insurance: Mathematics and Economics, Vol. 65 (2015), pp. 77-93 (mit C. Orozco-Garcia). Portfolio Optimization Under Solvency II: Implicit Constraints Imposed by the Market Risk Standard Formula, The Journal of Risk and Insurance, Vol. 84 (2017), No. 1, pp. 177-207 (mit A. Braun und F. Schreiber). Life Settlement Funds: Current Valuation Practices and Areas for Improvement, Risk Management and Insurance Review, Vol. 19 (2016), No. 2, pp. 173-195 (mit S. Affolter und A. Braun). Stock vs. Mutual Insurers: Who Does and Who Should Charge More?, European Journal of Operational Research, Vol. 242 (2015), No. 3, pp. 875-889 (mit A. Braun und P. Rymaszewski). Solvency II’s Market Risk Standard Formula: How Credible is the Proclaimed Ruin Probability?, Journal of Insurance Issues, Vol. 38 (2015), No. 1, pp. 1-30 (mit A. Braun und F. Schreiber), ausgezeichnet mit dem Best Paper Award 2014 des JII/CSIR. How Does Price Presentation Influence Consumer Choice? The Case of Life Insurance Products, The Journal of Risk and Insurance, vol 82 (2015), No. 2, pp. 401-432 (mit N. Gatzert und C. Huber). A Proposal for a Capital Market-Based Guaranty Scheme for the Financial Industry, European Journal of Finance, Vol. 20 (2014), No. 12, pp. 1133-1160 (mit J. Wagner und A. Zemp). A Proposal on How the Regulator Should Set Minimum Interest Rate Guarantees in Participating Life Insurance Contracts, The Journal of Risk and Insurance, Vol. 82 (2015), No. 3, pp. 659-686 (mit J. Wagner). Unisex Insurance Pricing: Consumers’ Perception and Market Implications, Geneva Papers on Risk and Insurance, Vol. 39 (2014), No. 2, S. 322-350 (mit T. Störmer und J. Wagner). The Impact of Private Equity on a Life Insurer’s Capital Charges under Solvency II and the Swiss Solvency Test, The Journal of Risk and Insurance, Vol. 81 (2014), No. 1, S. 113-158 (mit A. Braun und C. Siegel). The Impact of Introducing Insurance Guaranty Schemes on Pricing and Capital Structures, The Journal of Risk and Insurance, Vol. 80 (2013), No. 2, S. 273-308 (mit J. Wagner). Regulating Insurance Groups: A Comparison of Risk-Based Solvency Models, The Journal of Financial Perspectives, Vol. 1 (2013), No. 2, S. 1-13 (mit C. Siegel). What Drives Insurers’ Demand for Cat Bond Investments? Evidence from a Pan-European Survey, Geneva Papers on Risk and Insurance, Vol. 38 (2012), No. 3, 580-611 (mit A. Braun und K. Müller). Evaluation of Benefits and Costs of Insurance Regulation – A Conceptional Model for Solvency II, Journal of Insurance Regulation, Vol. 31 (2012), S. 125-156 (mit J. Lorson und J. Wagner). Optimal Risk Classification with an Application for Substandard Annuities, North American Actuarial Journal, Vol. 16 (2012), No. 4, S. 462-486 (mit G. Hoermann und N. Gatzert). The Risk of Model Misspecification and its Impact on Solvency Measurement in the Insurance Sector, The Journal of Risk Finance, Vol. 13 (2012), No. 4, S. 285-308 (mit C. Siegel und J. Wagner). A Performance Analysis of Participating Life Insurance Contracts, Insurance: Mathematics and Economics, Vol. 51 (2012), No. 1, S. 158-171 (mit R. Faust und A. Zemp). Creating Customer Value in Participating Life Insurance, The Journal of Risk and Insurance, Vol. 79 (2012), No. 3, S. 645-670 (mit I. Holzmüller und N. Gatzert). Under What Conditions is an Insurance Guaranty Fund Beneficial for Policyholders?, The Journal of Risk and Insurance, Vol. 79 (2012), No. 3, S. 785-815 (mit P. Rymaszewski und J. Wagner). Performance and Risks of Open-End Life Settlement Funds, Working Paper on Risk Management and Insurance (2009), 40 S., erschienen in: The Journal of Risk and Insurance, Vol. 77 (2012), No. 1, S. 193-229 (mit A. Braun und N. Gatzert). The Merits of Pooling Claims Revisited, Working Paper on Risk Management and Insurance (2011), 21 S. erschienen in: The Journal of Risk Finance, Vol. 13 (2012), No. 3, S. 184-198 (mit N. Gatzert), ausgezeichnet mit dem Outstanding Paper Award 2013, Emerald Literati Network Award for Excellence. Industry Loss Warranties: Contract Features, Pricing, and Central Demand Factors (previously entitled “What Drives the Demand for Industry Loss Warranties?”), Working Paper on Risk Management and Insurance (2009), 30 S., erschienen in: The Journal of Risk Finance, Vol. 13 (2012), No. 1, S. 13-31 (mit N. Gatzert). A Joint Valuation of Premium Payment and Surrender Options in Participating Life Insurance Contracts, Working Paper on Risk Management and Insurance (2010), 28 S., erschienen in: Insurance: Mathematics and Economics, Vol. 49 (2011), No. 3, S. 580–596 (mit J. Wagner). An Analysis of Pricing and Basis Risk for Industry Loss Warranties, Working Paper on Risk Management and Insurance (2010), 34 S., erschienen in: Zeitschrift für die gesamte Versicherungswissenschaft, 100. Bd. (2011), Heft 4, S. 517-537 (mit N. Gatzert und D. Toplek). A Traffic Light Approach to Solvency Measurement of Swiss Occupational Pension Funds, Working Paper on Risk Management and Insurance (2010), 30 S., erschienen in: Geneva Papers on Risk and Insurance, Vol. 36 (2011), S. 254-282 (mit A. Braun und P. Rymaszewski). On the Risk Situation of Financial Conglomerates: Does Diversification Matter?, Working Paper on Risk Management and Insurance (2010), 28 S., erschienen in: Financial Markets and Portfolio Management, Vol. 25 (2011), No. 1, S. 3-26 (mit N. Gatzert). On the Valuation of Investment Guarantees in Unit-Linked Life Insurance: A Customer Perspective, Working Paper on Risk Management and Insurance (2009), 30 S., erschienen in: Geneva Papers on Risk and Insurance, Vol. 36 (2011), S. 3-29 (mit N. Gatzert und C. Huber). Insurance and the Credit Crisis: Impact and Ten Consequences for Risk Management and Supervision, Working Paper on Risk Management and Insurance (2009), 38 S., erschienen in: Geneva Papers on Risk and Insurance, Special Issue on the Credit Crisis and Insurance, Vol. 35 (2010), S. 9-34 (mit M. Eling). The Impact of the Secondary Market on Life Insurers’ Surrender Profits, Working Paper on Risk Management and Insurance (2008), 21 S., erschienen in: The Journal of Risk and Insurance, Vol. 74 (2009), No. 4, S. 887-908 (mit N. Gatzert und G. Hoermann). Pricing and Performance of Mutual Funds: Lookback versus Interest Rate Guarantees, Working Paper on Risk Management and Insurance (2009), 26 S., erschienen in: The Journal of Risk, Vol. 11 (2009), No. 4, S. 31-49 (mit N. Gatzert). Minimum Standards for Investment Performance: A New Perspective on Non-Life Insurer Solvency, Working Paper on Risk Management and Insurance (2009), 25 S., erschienen in: Insurance: Mathematics and Economics, Vol. 45 (2009), No. 1, S. 113-122 (mit M. Eling und N. Gatzert). Combining Fair Pricing and Capital Requirements for Non-Life Insurance Companies, Working Paper on Risk Management and Insurance (2007), 23 S., erschienen in: Journal of Banking & Finance, Vol. 32 (2008), No. 10, S. 2589-2596 (mit N. Gatzert). Assessing the Risk Potential of Premium Payment Options in Participating Life Insurance Contracts, Working Paper on Risk Management and Insurance (2006), 29 S., erschienen in: The Journal of Risk and Insurance, Vol. 75 (2008), No. 3, S. 691-712 (mit N. Gatzert). The Influence of Corporate Taxes on Pricing and Capital Structure in Property-Liability Insurance, Working Paper on Risk Management and Insurance (2006), 26 S., erschienen in: Insurance: Mathematics and Economics, Vol. 42 (2008), No. 1, S. 50-58 (mit N. Gatzert). The Swiss Solvency Test and its Market Implications, Working Paper on Risk Management and Insurance (2008), 25 S., erschienen in: Geneva Papers on Risk and Insurance, Vol. 33 (2008), No. 3, S. 418-439 (mit M. Eling und N. Gatzert). Enterprise Risk Management in Financial Groups: Analysis of Risk Concentration and Default Risk, Working Paper on Risk Management and Insurance (2007), 29 S., erschienen in: Financial Markets and Portfolio Management, Vol. 22 (2008), No. 3, S. 241-258 (mit N. Gatzert und S. Schuckmann). Management Strategies and Dynamic Financial Analysis, Working Paper on Risk Management and Insurance (2006), 30 S., erschienen in: Variance, Vol. 2 (2008), No. 1, S. 54-66 (mit M. Eling und T. Parnitzke), ausgezeichnet mit dem “Best Article Award 2009” der Casualty Actuarial Society CAS. Risk and Capital Transfer in Insurance Groups, Zeitschrift für die gesamte Versicherungswissenschaft, 97. Bd. (2008), Heft 4, S. 463-477 (mit N. Gatzert). Capital Allocation for Insurance Companies – What Good is it?, Working Paper on Risk Management and Insurance (2005), 22 S., erschienen in: The Journal of Risk and Insurance, Vol. 74 (2007), No. 2, S. 301-317 (mit H. Gründl). The Solvency II Process: Overview and Critical Analysis, Working Paper on Risk Management and Insurance (2005), 25 S., erschienen in: Risk Management & Insurance Review, Vol. 10 (2007), No. 1, S. 69-85 (mit M. Eling und J. Schmit), ausgezeichnet mit dem “Best Perspective Article Award 2008” der American Risk and Insurance Association. Capital Allocation in Insurance: Economic Capital and the Allocation of the Default Option Value, Comment on an article by M. Sherris and J. van der Hoek, North American Actuarial Journal, Vol. 11 (2007), No. 1, S. 163-164 (mit H. Gründl). 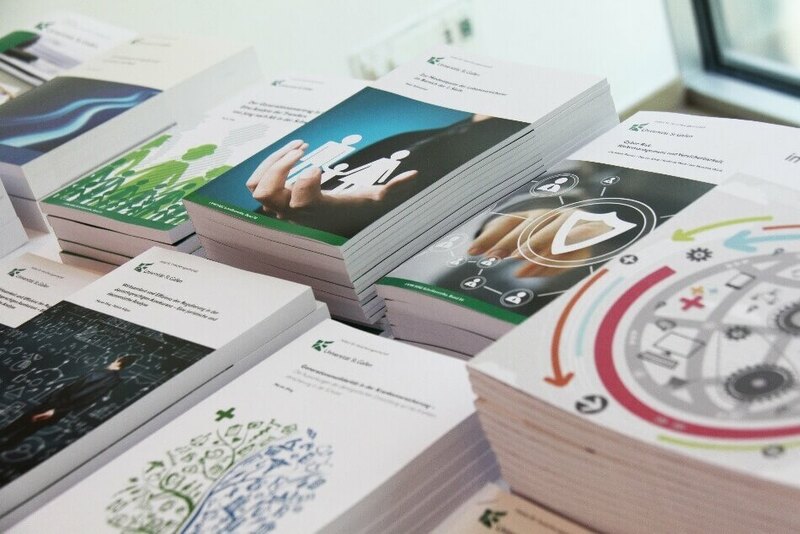 Finanzwirtschaftliche Garantien bei Investmentfondsprodukten und ihre bilanzielle Abbildung gemäss IFRS, Working Paper on Risk Management and Insurance (2006), 21 S., erschienen in: BankArchiv (ÖBV), 55. Jg (2007), Heft 10, S. 785-793 (mit M. Eling). Ist die Steuerung von Finanzdienstleistungsunternehmen durch Kapitalallokation sinnvoll?, Working Paper on Risk Management and Insurance (2006), 16 S., erschienen in: Zeitschrift für Controlling und Management, 51. Jg. (2007), Sonderheft 1, S. 28-33 (mit H. Gründl). Portfolio Management and Retirement: What is the Best Arrangement for a Family?, Working Paper on Risk Management and Insurance (2005), erschienen in: Financial Markets and Portfolio Management, Vol. 20 (2006), No. 3, S. 265-285 (mit H. Gründl und T. Post). Analysis of Embedded Options in Individual Pension Schemes in Germany, Working Paper on Risk Management and Insurance (2005), 19 S., erschienen in: Geneva Risk and Insurance Review (vormalig: Geneva Papers on Risk and Insurance – Theory), Vol. 31 (2006), No. 1, S. 43-60 (mit A. Kling und J. Russ). Life Annuity Insurance versus Self-Annuitization: An Analysis from the Perspective of the Family, Working Paper on Risk Management and Insurance (2005), erschienen in: Risk Management & Insurance Review, Vol. 8 (2005), No. 2, S. 239-255 (mit T. Post). Zur Zusage der nominalen Kapitalerhaltung bei investmentfondsbasierten Riester-Produkten: Einige Überlegungen aus finanzierungstheoretischer Sicht, Zeitschrift für Betriebswirtschaft, 74. Jg. (2004), Heft 2, S. 119-137 (mit H. Gründl und B. Nietert). New Risk-Based Capital Standards in the EU: A Proposal Based on Empirical Data, Betriebswirtschaftliche Diskussionsbeiträge Nr. 22, hrsg. von der Wirtschaftswissenschaftlichen Fakultät der Humboldt-Universität zu Berlin, August 2002, 22 S.; erschienen in überarbeiteter Form in: Risk Management & Insurance Review, Vol. 7 (2004), No. 1, S. 41-52, ausgezeichnet mit dem “Best Feature Article Award 2005” der American Risk and Insurance Association. Überlegungen zu einem fairen Risikomanagement-Mix in Versicherungsunternehmen, Zeitschrift für die gesamte Versicherungswissenschaft, 93. Bd. (2004), Heft 2, S. 207-220. Pricing Double-Trigger Reinsurance Contracts: Financial versus Actuarial Approach, Betriebswirtschaftliche Diskussionsbeiträge Nr. 14, hrsg. von der Wirtschaftswissenschaftlichen Fakultät der Humboldt-Universität zu Berlin, August 2001, 33 S., erschienen in überarbeiteter Form in: The Journal of Risk and Insurance, Vol. 69 (2002), No. 4, S. 449-468 (mit H. Gründl). Marktwertorientierte Unternehmens- und Geschäftsbereichssteuerung in Finanzdienstleistungsunternehmen, Betriebswirtschaftliche Diskussionsbeiträge Nr. 17, hrsg. von der Wirtschaftswissenschaftlichen Fakultät der Humboldt-Universität zu Berlin, Oktober 2001, 38 S., erschienen in überarbeiteter Form in: Zeitschrift für Betriebswirtschaft, 72. Jg. (2002), Heft 8, S. 797-822 (mit H. Gründl). Pricing of a New Integrated Risk Reinsurance Product, Classification, Automation, and New Media, hrsg. von W. Gaul und G. Ritter, Berlin et al. 2002, S. 383-390. Risikomanagement von Versicherungsunternehmen nach KonTraG, Zeitschrift für die gesamte Versicherungswissenschaft, 90. Bd. (2001), Heft 1, S. 139-159. Asset-Liability-Management der Versicherungsunternehmung und Shareholder Value, Zeitschrift für die gesamte Versicherungswissenschaft, 88. Bd. (1999), Heft 2/3, S. 489-514 (mit H. Gründl). Solvabilitätsanalyse von Schadenversicherungsunternehmen, Zeitschrift für die gesamte Versicherungswissenschaft, 87. Bd. (1998), Heft 1, S. 95-123. Zur Mindestquote der Lebensversicherer im Bereich der 2. Säule, I.VW Schriftenreihe Band 55, 63 S., St.Gallen 2015. Volkswirtschaftliche Implikationen des Swiss Solvency Tests, I.VW Schriftenreihe Band 48, 103 S., St.Gallen 2006 (mit M. Eling, N. Gatzert, S. Schuckmann und D. Toplek). Risiko-Controlling und wertorientierte Steuerung im Finanzdienstleistungssektor, Habilitationsschrift, Humboldt-Universität zu Berlin, 218 S., Berlin 2003. Risikotheoretisch fundierte Ansätze zur Neugestaltung des Europäischen Solvabilitätssystems für Schadenversicherer, Verlag Versicherungswirtschaft, 340 S., Karlsruhe 1997. Versicherungswirtschaft und Versicherungsmanagement, VBV Lehrbuch, Zürich 2013 (mit W. Ackermann). 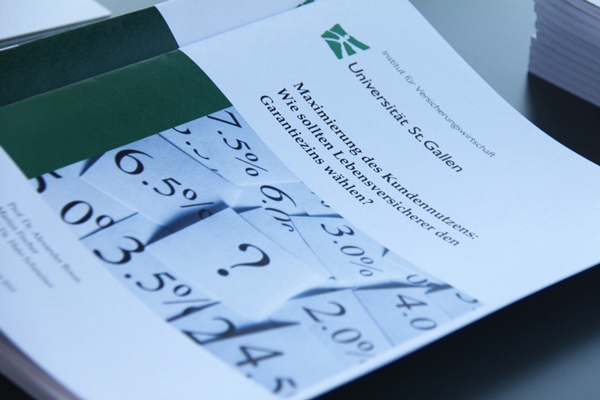 Working Paper Series on Risk Management and Insurance, Institute of Insurance Economics, University of St.Gallen. I.VW Management-Information – St.Galler Trendmonitor für Risiko- und Finanzmärkte, Institut für Versicherungswirtschaft, Universität St.Gallen (Mitherausgeberschaft). 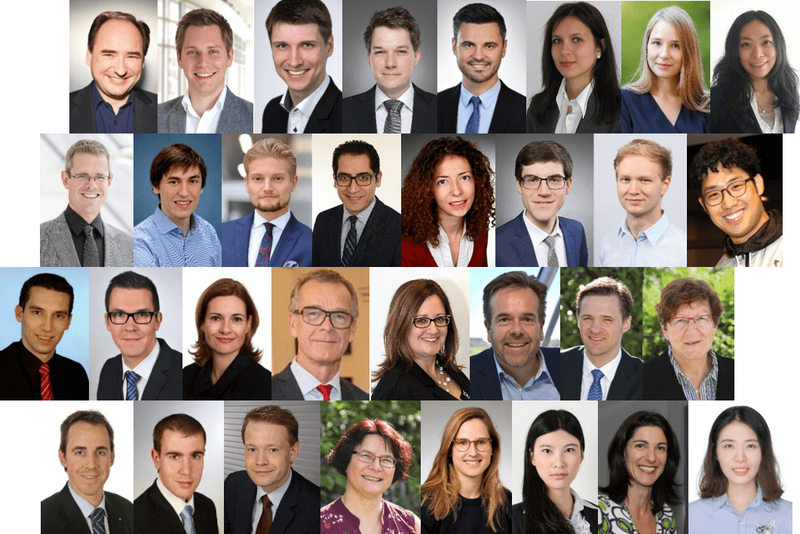 Asset-Liability Management for Long-Term Insurance Business, erscheint in: European Actuarial Journal (mit H. Albrecher, D. Bauer, P. Embrechts, D. Filipović, P. Koch, R. Korn, S. Loisel, A. Pelsser, F. Schiller und J. Wagner). Worin besteht der Kundennutzen von «On-Demand-Insurance»?, erscheint in: Schweizer Versicherung. Lebensversicherung mit Zinsgarantie: ein Auslaufmodell?, erscheint in: AWP Soziale Sicherheit. Digitales Monitoring im Gesundheitssektor, erscheint in: Konsumentenstimme. Digitales Monitoring in der Assekuranz, in: Assekuranz 2025 – Quo vadis?, hrsg. von: Institut für Versicherungswirtschaft, Universität St.Gallen, S. 75-88 (mit L. Reichel). Zukunft der Lebensversicherung, in: Assekuranz 2025 – Quo vadis?, hrsg. von: Institut für Versicherungswirtschaft, Universität St.Gallen, S. 41-58. Auswirkungen der aktuellen Schweizer Solvenzanforderungen auf Lebensversicherungsunternehmen und Kundenansprüche, Studie I.VW, St.Gallen 2016. Hat die Zinsgarantie in der Lebensversicherung Zukunft? erscheint in: Schweizer Versicherung. Digitalisierung, Risikodifferenzierung, Risikoausgleich und Solidarität: Schafft sich die Assekuranz ab? erscheint in: Schweizer Versicherung. Digitales Monitoring: Fluch oder Segen?, erscheint in: I.VW Management-Information (mit L. Reichel). Risikokontrollierte Vermögensverwaltung auf Basis des Synthetischen Risiko Rendite Indikators, Studie I.VW, St.Gallen 2016 (mit M. Fischer). Optimaler Garantiezins aus Kundensicht, erscheint in: Versicherungswirtschaft (mit A. Braun und M. Fischer). Honorarberatung in der Assekuranz: Der richtige Weg?, erscheint in: Schweizer Versicherung. Maximierung des Kundenutzens: Wie sollten Lebensversicherer den Garantiezins wählen? 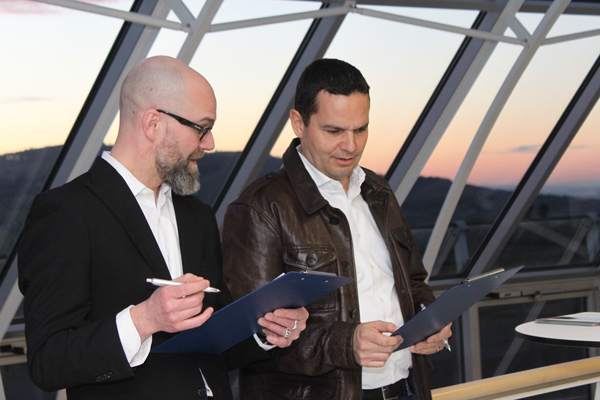 Studie I.VW, St.Gallen 2015 (mit A. Braun und M. Fischer). Performancemessung und Regulierung: Zwei Welten?, erscheint in: Schweizer Versicherung. Corporate Governance und weitere 7 Einträge, erscheinen in: Gablers Lexikon der Versicherungswirtschaft. hrsg. von Fred Wagner, 2. Auflage, Wiesbaden 2015. Die Erhöhung der Mindestquote ist aus Versichertensicht nachteilig, erscheint in: Schweizer Versicherung. Neue Möglichkeiten, neue Bedürfnisse? Was erwartet der Versicherungskunde von morgen?, erscheint in: Festschrift 190 Jahre Wiener Städtische Versicherung. Risikolebensversicherung in Deutschland: die Perspektive des Kunden, I.VW Management-Information, 1/2015, S. 15-21 (mit A. Braun und F. Schreiber). Term Life Insurance in Germany: The Consumers’ Perspective – a Need for Preferences-orientated Product Design?, Sigma/ER&C Reports Zürich: Swiss Re Economic Research & Consulting 2014 (mit A. Braun, F. Schreiber und L. Steinmann). Possible Market Implications of Unisex Insurance Pricing, Geneva Association, Insurance Economics Newsletter, No. 70 (2014), S. 2-4 (mit T. Störmer und J. Wagner). Pricing: Kampf geht weiter?, Schweizer Versicherung, 26. Jg. (2014), Heft 7, S. 54-55 (mit D. Laas und J. Wagner). Risikomanagement im Branchenvergleich – Was macht die Assekuranz «speziell»?, erscheint in: Schweizer Versicherung. Energiestrategie 2050 – Evaluierung der schweizerischen Risikolandschaft, Studie Institut für Versicherungswirtschaft, St.Gallen, 2014 (mit K. Müller und C. Siegel). 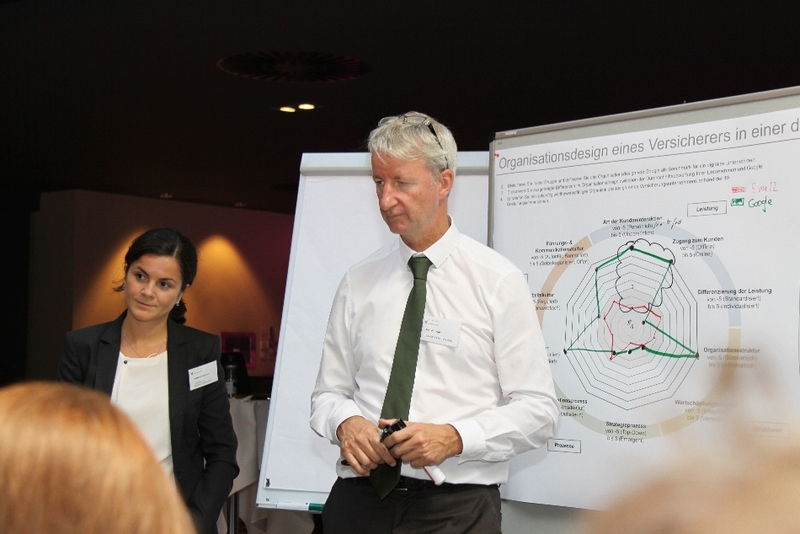 Pricing-Strategien in der Kfz-Versicherung, Studie I.VW/Solution Providers AG, St.Gallen/Dübendorf 2014 (mit M. Hartmann, D. Laas, Ch. Nützenadel und J. Wagner). Ökonomische Widersprüche – Solvency-II-Standardformel für Marktrisiken generiert keine konsistente Kapitalanlageregulierung, Versicherungswirtschaft, 69. Bd. (2014), Heft 2, S. 71-73 (mit A. Braun und F. Schreiber). Invalidität in der Schweiz – Einflussfaktoren und zukünftige Entwicklungen, Zürich / St.Gallen 2014 (mit Ch. Curtius, K. Flückinger, A. Heimer, R. Knöpfel, K. Müller, K. Simon und J. Wagner). New Life Insurance Financial Products, Working Paper on Risk Management and Insurance (2012), erschienen in: Handbook of Insurance, 2rd edtion 2014, hrsg. von G. Dionne (mit N. Gatzert). Unisex Insurance Pricing: Consumers’ Perception and Market Implications, I.VW Management Information, 3/2012, S. 33-35 (mit T. Störmer und J. Wagner). Versicherung: Status Quo und aktuelle Herausforderungen, ESPRIT St.Gallen Business Review, Winter 2012, S. 47-49. Mindestzins: Warum sich mit niedrigerem Zins ein höherer Nutzwert erzielen lässt, erscheint in: Schweizer Versicherung, 24. Jg. (2012), Heft 11 (mit J. Wagner). The Influence of Interest Rate Guarantees and Solvency Requirements on the Asset Allocation of Life Insurers, I.VW Management-Information, 3/2012, S. 31-33 (mit J. Wagner). Feasible Fraud and Auditing Probabilities for Insurance Companies and Policyholders, Zeitschrift für die gesamte Versicherungswissenschaft, 101. Bd. (2012), Sonderheft zur Jahrestagung 2012 (mit. K. Müller und J. Wagner). Die Bedeutung der Mindestverzinsungszusage in der 2. Säule, in: Standpunkte, AWP Soziale Sicherheit, 13/2012, S. 7. Bedeutung und Funktion des Asset Managements, erscheint in: W. Ackermann und H. Schmeiser (Hrsg. ): Versicherungswirtschaft und Versicherungsmanagement, VBV Lehrbuch, 2012 (mit A. Braun). Segmentierungs- und Tarifierungsstrategien, erscheint in: W. Ackermann und H. Schmeiser (Hrsg. ): Versicherungswirtschaft und Versicherungsmanagement, VBV Lehrbuch, 2012 (mit N. Gatzert). Finanzielle Führung eines Versicherungsunternehmens, erscheint in: W. Ackermann und H. Schmeiser (Hrsg. ): Versicherungswirtschaft und Versicherungsmanagement, VBV Lehrbuch, 2012 (mit M. Eling). Das strategische Risikomanagement eines Versicherers, erscheint in: W. Ackermann und H. Schmeiser (Hrsg. ): Versicherungswirtschaft und Versicherungsmanagement, VBV Lehrbuch, 2012 (mit N. Gatzert). Künftige Entwicklung in der beruflichen Vorsorge in der Schweiz, BVG-Info der Allianz Suisse, 2012, Heft 12, S. 3-4 und 12/2012, Heft 12, S. 3-4. Standardmodell oder internes Risikomodell? Versicherungswirtschaft, 67. Bd. (2012), Heft 10, S. 708 (mit H. Gründl). Mindestverzinsungsgarantie: Weniger ist mehr, Versicherungswirtschaft, 67. Bd. (2012), Heft 5, S. 361 (mit H. Gründl). Insurance Companies and the Cat Bond Asset Class – Key Determinations of their Decision to Invest, I.VW Management-Information, 4/2012, S. 33-36 (zusammen mit A. Braun und K. Müller). Ungleiches Risiko, gleicher Preis, Schweizer Versicherung, 24. Jg. (2012), Heft 3, S. 8-13 (mit T. Störmer und J. Wagner). Regulatory Capital and Asset Management in Life Insurance – The Case of Private Equity, I.VW Management-Information, 1/2012, S. 27-31 (zusammen mit A. Braun und C. Siegel). Price Presentation and Consumers’ Choice, Zeitschrift für die gesamte Versicherungswissenschaft, 101. Bd. (2012), Sonderheft zur Jahrestagung 2011, S. 63-73 (mit C. Huber und N. Gatzert). Langzeit-Garantien und „antizyklische Prämie“ unter Solvency II, Versicherungswirtschaft, 66. Jg. (2011), Heft 16, S. 1595 (mit H. Gründl). A Performance Analysis of Participating Life Insurance Contracts, Zeitschrift für die gesamte Versicherungswissenschaft, 100. Bd. (2011), Sonderheft zur Jahrestagung 2011, S. 707-718 (mit R. Faust und A. Zemp). Insurance Guarantee Schemes in an Contingent Claims Setting, Zeitschrift für die gesamte Versicherungswissenschaft, 100. Bd. (2011), Sonderheft zur Jahrestagung 2011, S. 719-731 (mit J. Wagner). How Insurance Companies and Policyholders Behave Optimally in Case of Insurance Claims Fraud, I.VW Management-Information, 4/2011 (mit K. Müller und J. Wagner). Report on the CAS COTOR Risk Premium Project Update, erscheint in: SOA Society of Actuaries Newsletter (mit M. Eling). Antworten mit Fragezeichen – IFRS 4 Phase II, I.VW / PricewatherhouseCoopers, St.Gallen / Zürich, Juni 2011 (mit B. von Boyen, P. Lüssi, M. Schaeffer, J. Wagner und A. Zemp). Model Risk in Solvency Frameworks for Property-Liability Insurers, I.VW Management-Information, 1/2011, S. 31-34 (mit C. Siegel und J. Wagner). Aufsicht über die berufliche Vorsorge: Internationaler Vergleich, in: Beiträge zur sozialen Sicherheit, hrsg. vom Bundesamt für Sozialversicherungen, Bern 2011 (mit A. Braun, W. Nussbaum, P. Rymaszewski und A. Zeier). Insurance Guaranty Fund – What Good is it?, Zeitschrift für die gesamte Versicherungswissenschaft, 99. Bd. (2010), Sonderheft zur Jahrestagung 2010, S. 637-648 (mit P. Rymaszewski und J. Wagner). Investment Guarantees in Unit-Linked Life Insurance from the Customer Perspective, Zeitschrift für die gesamte Versicherungswissenschaft, 99. Bd. (2010), Sonderheft zur Jahrestagung 2010, S. 627-636 (mit N. Gatzert und C. Huber). Assekuranz 2015 – Eine Standortbestimmung. Neue Koordinaten im deutschsprachigen Versicherungsmarkt, hrsg. von G. Scherer und H. Schmeiser, Zürich / St.Gallen 2010 (mit V. Bättig, B. Burr, A. Fürnthaler, A. Schlieker, C. Stampfli und A. Zeier). Insurance Guaranty Funds and Their Relation to Solvency Regulation, Working Paper on Risk Management and Insurance (2010), 20 S., erschienen in: The Fundamentals of Future Insurance Regulation and Supervision, Vol. 1, Global Issues, hrsg. von P. Liedtke and J. Monkiewiecz, Palgrave Macmillan, 2011 (mit P. Rymaszewski). On the Regulation of Insurance Groups – A Comparison of Risk-Based Solvency Models, I.VW Management-Information 3/2010, S. 35-37 (mit C. Siegel). Towards an Efficient Regulation of Pension Funds in Switzerland – A Solvency Test with Traffic Light Signal, I.VW Management-Information 2/2010, S. 26-27 (mit A. Braun und P. Rymaszewski). How Attractive is the Life Settlements Asset Class from an Investor’s Perspective?, I.VW Management-Information 1/2010, S. 45-48 (mit A. Braun und N. Gatzert). Acht Einträge in: Gablers Lexikon der Versicherungswirtschaft, hrsg. von Fred Wagner, Wiesbaden, 2010. Folgen der Finanzkrise – Vertrauen bringt Marktanteile, Schweizer Versicherung, 22 Jg. (2010), Heft 6, S. 8-10 (mit C. Huber). Kundenschutz und Transparenz – Versicherte wollen nicht im Regen stehen, Schweizer Versicherung, 22 Jg. (2010), Heft 6, S. 11 (mit A. Zeier). Swiss Quality Assessment SQA – Ein neuer Umgang mit Risiken, Schweizer Versicherung, 22 Jg. (2010), Heft 4, S. 7-9 (mit K. Wohnlich). Die Finanzkrise aus Kundensicht – Implikationen für den Schweizer Versicherungsmarkt, Studie I.VW/Value Quest, St. Gallen / Zürich (2009) (mit B. Catellani und C. Huber). Electronic Platform to Facilitate (Re)Insurance Administration, Studie I.VW, St. Gallen (2009) (mit A. Zeier). Optimal Rate Classification for Enhanced Annuities, erschienen in: Zeitschrift für die gesamte Versicherungswissenschaft, 98 Bd. (2009), No. 5, Sonderheft zur Jahrestagung 2009, S. 565-577 (mit N. Gatzert und G. Hoermann). Finanzgarantien aus Kundensicht, Versicherungswirtschaft, 64. Jg. (2009), Heft 22, S. 1735-1740 (mit C. Huber und N. Gatzert). Hat die Modellwelt versagt? Einige Anmerkungen zur aktuellen Wirtschafts- und Finanzkrise, I.VW Management-Information 3/2009, S. 3-6. Die Aufsicht krisensicher gestalten: Aktuelle Entwicklung von Solvency II, I.VW Management-Information 3/2009, S. 39-44 (mit P. Rymaszewski). Trend Life Insurance Wrappers – Warmer Mantel für Vermögende, in: Vorsorge-Guide 2010, hrsg. von der Schweizer Versicherung und der Schweizer Bank (2009). S. 22-23. Finanzkrise: Konsequenzen für das Risikomanagement, in: Konsequenzen aus der Finanzmarktkrise – Perspektiven der HSG, hrsg. von Ch. Lechner, St.Gallen 2009, S. 40-42. Risikomanagement auf dem Prüfstand, in: Mediaplanet – Riskmanagement, 4/2009, S. 2. Versicherer brauchen ein konsequentes Denken in Risikolimiten, Solutions: Managementwissen für die Praxis (2008), Heft 12, S. 10-11. Management von Finanzkonglomeraten: Diversifikation, Risikokonzentration und Conglomerate Discount, Versicherungswirtschaft, 63 Jg. (2008), Heft 24, S. 2067-2071 (mit N. Gatzert). Finanzmarktkrise: Schweizer Versicherer können profitieren, Schweizer Versicherung, 20. Jg. (2008), Heft 12, S. 23-25 (mit M. Eling). Herausforderungen bei der IT-Umsetzung von Asset Liability Management, Versicherungswirtschaft, 63 Jg. (2008), Heft 20, S. 1722-1725 (mit M. Eling, M. Steger und D. Toplek). Anforderungen an eine erfolgreiche Versicherungsaufsicht, I.VW Management-Information 3/2008, S. 23-24 (mit M. Eling). Marktwerte statt Sicherheiten – die Zukunft der Schwankungsrückstellung, Versicherungswirtschaft, 63. Jg. (2008), Heft 19, S. 1629-1630. Diversification in Financial Conglomerates, I.VW Management-Information 2/2008, S. 30-31 (mit N. Gatzert). Demographische Entwicklung und Versicherung, 150 Jahre Helvetia (Jubiläumsfestschrift), St.Gallen 2008, S. 97-101. Zur Integration heuristischer Managementstrategien in die Dynamische Finanzanalyse, Working Paper on Risk Management and Insurance (2007), 17 S., erschienen in: Zeitschrift für die gesamte Versicherungswissenschaft, Ergänzungsband 2007, S. 291-303 (mit M. Eling und T. Parnitzke). Asset Liability Management in der deutschsprachigen Assekuranz, Studie I.VW/Solution Providers AG, hrsg. von M. Gerber und H. Schmeiser, St.Gallen/Dübendorf, 2007. A Management Rule of Thumb in Property-Liability Insurance, in: Operations Research Proceedings 2006, hrsg. von K.-H. Waldmann und U. Stocker, Berlin/Heidelberg/New York 2007, Springer, S. 281-286 (mit M. Eling und T. Parnitzke). Bewertung und Risikomanagement von impliziten Optionen in Lebenspolicen, Versicherungswirtschaft, 62. Bd. (2007), Heft 10, S. 769-771 (mit N. Gatzert). Implicit Options in Life Insurance: Valuation and Risk Management, Working Paper on Risk Management and Insurance (2006), 20 S. erschienen in: Zeitschrift für die gesamte Versicherungswissenschaft, Supplement 2006, S. 111-128 (mit N. Gatzert). Das Shareholder-Value-Prinzip im Spannungsfeld von Theorie und Praxis, Working Paper on Risk Management and Insurance (2006), 16 S., erschienen in: Zeitschrift für die gesamte Versicherungswissenschaft, Ergänzungsband 2006, S. 3-14. Versicherungsaufsicht unter Solvency II: Zwei Phasen, drei Säulen und zwei Stufen, Zeitschrift für das gesamte Kreditwesen, 59 Jg. (2006), Heft 15, S. 768-770 (mit M. Eling). Versicherungen, Handwörterbuch der Betriebswirtschaft (HWB), hrsg. von R. Köhler, H.-U. Küpper und A. Pfingsten, 6. Auflage, Stuttgart 2006, S. 6037-6046 (mit H. Gründl). Swiss Solvency Test und Solvency II: Zwei Reformprozesse auf unterschiedlichen Wegen?, I.VW Management-Information 4/2006, S. 3-6 (mit M. Eling und S. Schuckmann). Interne Risikosteuerungsmodelle aus wissenschaftlicher Sicht, Working Paper on Risk Management and Insurance (2005), 25 S., erschienen in: Handbuch Solvency II, hrsg. von H. Gründl und H. Perlet, Berlin 2005, S. 239-263 (mit A. Osetrova). Interne Risikosteuerungsmodelle unter Solvency II, Working Paper on Risk Management and Insurance (2005), erschienen in: Regulierung von Versicherungen: Solvency II und Vermittlerrichtlinie – Zweiter Nürnberger Versicherungstag 2004, hrsg. von A. Wambach und H. Herrmann, S. 29-45. Solvency II und interne Risikosteuerungsmodelle, Versicherungswirtschaft, 59. Bd. (2004), Heft 7, S. 473-474 (mit H. Gründl). Leibrentenversicherung versus Fondsentnahmeplan – Chancen und Risiken aus der Perspektive potenzieller Erben, Betriebswirtschaftliche Diskussionsbeiträge Nr. 25, hrsg. von der Wirtschaftswissenschaftlichen Fakultät der Humboldt-Universität zu Berlin, Januar 2003, 44 S. (mit T. Post). Staatlich geförderte Altersvorsorge: zur Sicherheit der Zusage der nominalen Kapitalerhaltung bei Anlage in Investmentfonds, Betriebswirtschaftliche Diskussionsbeiträge Nr. 23, hrsg. von der Wirtschaftswissenschaftlichen Fakultät der Humboldt-Universität zu Berlin, September 2002, 24 S. (mit H. Gründl und B. Nietert). Risk-Adjusted Performance Measurement and Capital Allocation in Insurance Firms, Selected Papers from the 29th EGRIE (European Group of Risk and Insurance Economists) Conference, Nottingham 2002, England, S. 381-394 (mit H. Gründl). Regulating Equity Capital in the Insurance Industry: A Practical Approach Based on Risk Theory, Proceedings of the Conference “Main Trends of World Economic Development – Contours of the new Millennium”, St. Petersburg, Russland 2002. Rezension zu: Ebers, M., Die Überschußbeteiligung in der Lebensversicherung, Baden-Baden 2001, Zeitschrift für Betriebswirtschaft, 72. Jg. (2002), Heft 10, S. 1093-1097. Risikoübernahme – sollte der Staat bestimmte Versicherungsgarantien übernehmen?, Ifo Schnelldienst, 54. Jg. (2001), S. 10-11 (mit H. Gründl). Versicherungswirtschaft, Anlagevorschriften der Versicherungen, Handwörterbuch des Bank- und Finanzwesens, hrsg. von W. Gerke und M. Steiner, 3. Auflage, Stuttgart 2001, S. 2146-2155 (mit H. Gründl). An Integrated Approach for Solvency Regulation of Non-Life Insurance Companies, Betriebswirtschaftliche Diskussionsbeiträge Nr. 13, hrsg. von der Wirtschaftswissenschaftlichen Fakultät der Humboldt-Universität zu Berlin, Juli 2001, 15 S.; erschienen in: Proceedings of the 5th Conference of the Asia-Pacific Risk and Insurance Association, Bangalore, Indien. Risk-Adjusted Performance Measurement in the Insurance Industry and Shareholder Value, Betriebswirtschaftliche Diskussionsbeiträge Nr. 12, hrsg. von der Wirtschaftswissenschaftlichen Fakultät der Humboldt-Universität zu Berlin, Juli 2001, 17 S., erschienen in: Proceedings of the 5th Conference of the Asia-Pacific Risk and Insurance Association, Bangalore, Indien (mit H. Gründl). Rezension zu: Förterer, D., Ertrags- und Risikosteuerung von Lebensversicherern aus finanzmarkttheoretischer Sicht – Ein Ansatz zum Asset-Liability-Management, Karlsruhe 2000, Zeitschrift für die gesamte Versicherungswissenschaft, 90. Bd. (2001), Heft 1, S. 206-210. Ein Modell zur Risikosteuerung von Versicherungsunternehmen im Sinne des KonTraG, Betriebswirtschaftliche Diskussionsbeiträge Nr. 10, hrsg. von der Wirtschaftswissenschaftlichen Fakultät der Humboldt-Universität zu Berlin, Oktober 2000, 25 S.
Risikotheorie (versicherungsmathematische) und Risikotheorie (betriebswirtschaftliche), Lexikon der Internen Revision, hrsg. von W. Lück, München 2000. Kapitalanlagevorschriften von Versicherungsunternehmen: Historische Entwicklung und aktuelle Ausgestaltung, Betriebswirtschaftliche Diskussionsbeiträge Nr. 4, hrsg. von der Wirtschaftswissenschaftlichen Fakultät der Humboldt-Universität zu Berlin, Januar 2000, 16 S. (mit H. Gründl). Hybrid-Rückversicherungskontrakte: Grundsätzliche Überlegungen und Preiskalkulation, Betriebswirtschaftliche Diskussionsbeiträge Nr. 2, hrsg. von der Wirtschaftswissenschaftlichen Fakultät der Humboldt-Universität zu Berlin, Dezember 1999, 29 S. (mit H. Gründl); Revised version: On the Pricing of Double-Trigger Reinsurance Products, Betriebswirtschaftliche Diskussionsbeiträge Nr. 2a, hrsg. von der Wirtschaftswissenschaftlichen Fakultät der Humboldt-Universität zu Berlin, Mai 2000, 22 S. (mit H. Gründl). Rückversicherung und Kapitalanlage simultan optimieren: SAM (Strategic Asset-Liability-Management), ein Simulationsmodell für Kompositversicherer, Versicherungswirtschaft, 54. Bd. (1999), Heft 10, S. 91-95. Risikotheorie, Lexikon der Rechnungslegung und Abschlußprüfung, hrsg. von W. Lück, 4. Auflage, München 1998. 24. Jahrestagung der Gesellschaft für Klassifikation, Passau 3/2000. Life insurance with Investment Guarantees: Customer Needs, Fair Pricing and Regulatory Requirements, Grundlagenforschungsprojekt des Schweizerischen Nationalfonds (SNF), 2017-2018 (mit H. Chang, D. Luca und C. Orozco-Garcia).